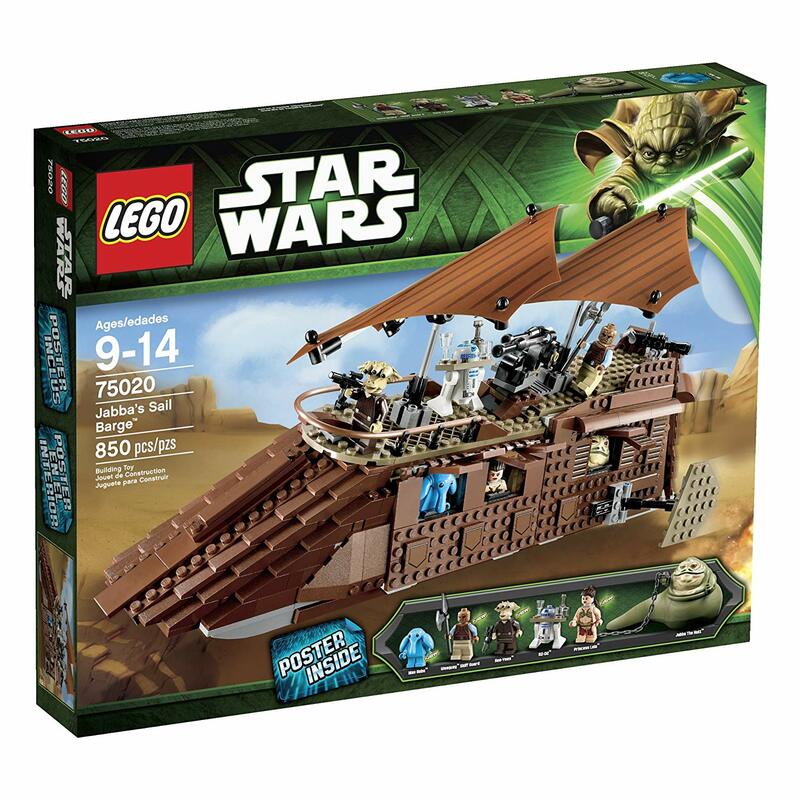 Lego Star Wars Jabba’s Sail Barge was released in August 2013 and contains 850 pieces. It retails for $119.99 and is available on Amazon. Below is a video review and my remarks regarding the set. The jagged slopes on the front of the barge looks weird, may be better if plates were used instead. LEGO’s second version of Jabba’s Sail Barge is a neat little model that carries a big price tag. It’s an iconic Star Wars vehicle well deserving of some shelf space. I wouldn’t pay the full price on this model, and luckily Amazon currently has it on sale, and 26% off is a good enough deal. The model’s interior can be fully exposed to allow easy access, but there’s not much room after accounting for Jabba’s presence. The barge rolls on inconspicuous wheels underneath and also features a concealed cannon in the front that’s a hassle to fire. Overall, I recommend this model at a price tag less than $100.